NCC Urban Gardenia is one of the residential developments by NCC Urban Infrastructure, located in Hyderabad. It offers spacious and skilfully designed 4BHK and 5BHK duplex apartments. The project is well equipped with all modern amenities to facilitate the needs of the residents. Where is NCC Urban Gardenia located? Hi-Tech City, a prime residential locality for house seekers in Hyderabad. What size of flats are available in NCC Urban Gardenia? 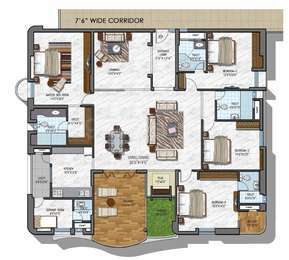 The apartment sizes in the project vary from 3347.0 sqft to 4152.0 sqft. 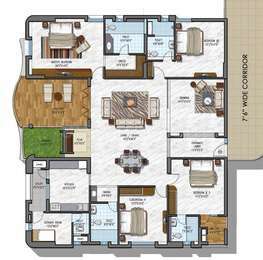 How much is area of 4bhk in NCC Urban Gardenia? 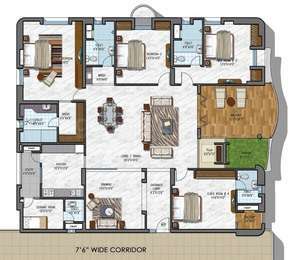 The area of 4BHK units in the project varies from 3347.0 sqft to 3480.0 sqft. What is total size of NCC Urban Gardenia?The project is built over an area of 4.0 Acres. What is the 4 bedroom price in NCC Urban Gardenia? The price of 4 BHK units in the project is Rs. 26500000. When is the expected completion date of NCC Urban Gardenia?The project completion timeline has been set at Jun 2019. RCC framed structure to withstand wind and seismic loads (B2+B1+ground+12 floors) first time it's kind of ceiling height 10'6"
NCC Urban Developers is a subsidiary of Nagarjuna Construction Company Ltd. It develops real estate all over India in cities like Bangalore, Hyderabad, Cochin, Chennai, Goa, Vizag, Ranchi and even in Dubai. NCC Urban Builders has a diverse portfolio with residential and commercial complexes, townships, roads, bridges, pipelines, SEZs and serviced apartment complexes. It has a turnover of around Rs. 3500 crores annually and is widely known for its quality and excellence. 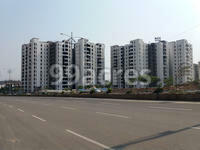 dens, Nagarjuna Lotus and others are amongst the completed projects by NCC Urban Developers. The ongoing projects include Nagarjuna Aster Park, Nagarjuna Meadows, Nagarjuna Premier, Nagarjuna Laurel, etc. Sports City in Ranchi and NCC Harmony in Dubai are other upcoming projects undertaken by NCC Urban Builders. Hello! I am confused regarding an investment. Should I invest in Vamsiram's Jyothi Cosmos or in NCC Urban Gardenia? Both seem pretty good! I am super confused. Please help!